How to Select a Carrier for Shipping a Chair? Shipping a chair to another city or state may seem not a big problem, especially taking into account all those packing and shipping companies that offer furniture moving services all over the United States. However, since not all chairs are the same, not every packaging and shipping service is good for your particular case. For example, what if you need to relocate something very valuable, very heavy, or both? Or what if your chairs are too large and oddly shaped to fit in a standard shipping box? 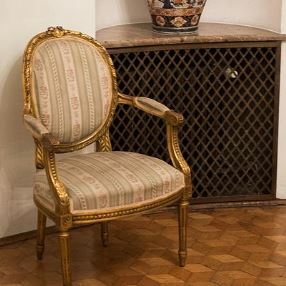 Besides, let’s not forget that antique chairs can be easily damaged due to improper handling or by drastic changes in temperature, humidity, and other environmental conditions experienced in transit. In other words, whether it comes to shipping a chair or moving an entire estate, you should think twice when selecting a carrier for this job. How about an experienced fine art shipping company? It is always a great option if you need to transport valuable, expensive, delicate, and antique furniture. Plus, a professional art mover is also the best choice to transport heavy and large pieces that require special care. Whether it comes to regular packing and shipping companies or professional art shippers, not all of them offer a specialized furniture moving service, so take your time to learn more about the carrier’s experience in shipping valuable and expensive furniture pieces. Another important thing that you should pay your attention to is whether the company can deliver your furniture to the destination on time. Maybe it has a special shuttle service? Or you need to wait until the carrier fills out the truck trailer going to your destination first? Finally, make sure the chosen company is properly insured against damage. After all, no matter how professional or experienced the art mover is, no one knows what may happen in transit, so it is always better to have your possessions insured. At Fine Art Shippers, we offer a full range of furniture moving services at very competitive prices. So whether it comes to shipping a chair, a sofa, or any other piece of valuable furniture, our company is always the right choice!